April 13 into 14, 2018: the following post is one I'd hoped never to type. Tragically, it must be done tonight thanks to Trump and the Pentagon Generals and their continual urge to topple the East. This is a rushed effort for studying, scanning, saving, and posting horoscopes takes time and time is fleeting. 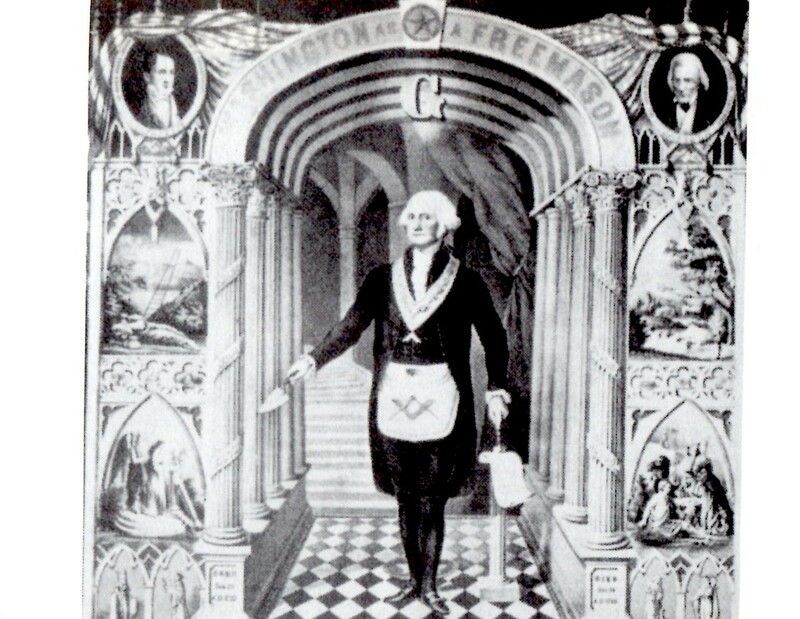 So first, here's a bi-wheel of what's going on as Washington and friends show their true and warring colors. 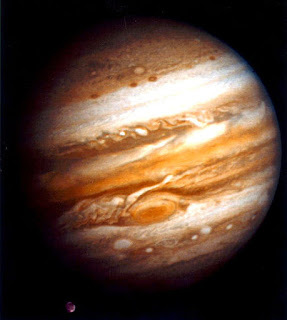 My Latin days are far behind me but I do remember that in olden times the Roman army had sense enough not to wage war when Jupiter the General was retrograde as it is now. Tonight, according to news reports, at 9:00 pm EDT, Donald Trump announced that the US, UK, and France had launched missile strikes on chemical facilities in Syria. You know the pretext and are aware that earlier, UK PM Teresa May and others trumped up the case for their warring actions as a 'deterrent' against further chemical attacks by Syrian leader Bashir Assad who took over the government at dawn on November 13, 1970. 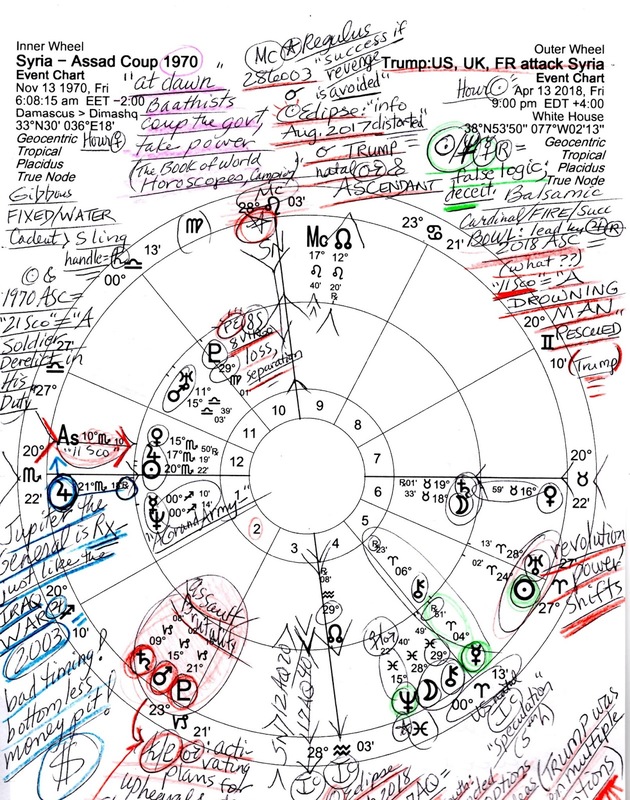 In the bi-wheel charts shown below, Syria's 1970 'coup chart' has tonight's Trump announcement (timed for 9:00 pm EDT) which is set for the White House though perhaps Mr. Trump was speaking from elsewhere. In that case, the 9:00 pm chart may be considered symbolic. 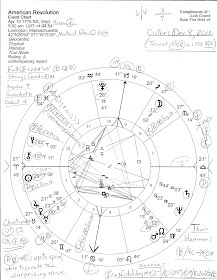 So with 2018 Jupiter opposing Syria's natal Saturn, bending or neglecting rules won't work and challenges to authority are not favored. Of course, Trump and General Mattis say that regime change is not the goal of these strikes. Well, I imagine they consider it a process for Syria has proven a hard nut to crack for the global corporatists who are animated by the satanic destructive force that's loose upon the Earth. We see this force within the brutal Saturn-Mars-Pluto trio of assault and violence along with the suffering, contamination, and poison (gas) used to justify the perpetration of more violence. Yet transit Venus approaches Syria's natal Taurus Moon suggesting that Assad's popularity has increased or will increase in spite or because of the attacks from the West, and with natal Saturn receiving attention from Venus as well, we see that order and tradition are among the things valued by the people of Syria (yes, there are various groups across a large country so traditions vary as well). Then with transit Jupiter and Venus opposing one another across the intense Taurus-Scorpio axis as the strikes occur, we may expect this misadventure of Trump's to be disappointing with efforts falling flat or missing their mark. Excesses that everyone would prefer to forget may occur and promises of cooperation can soon evaporate unless other chart factors and conditions interpose with positive energies. Yet how 'positive' can any war be? They're all racketeering along with the grasping of power and plundering of resources. Plus, Donald Trump wants the world to stop talking about Comey, Putin, Cohen, Manafort, and his own antics--and stop reading that bestselling book! (Tonight's announcement shows an Ascending degree of '11Scorpio' = "A Drowning Man Rescued"--hi there, Mr. Trump! 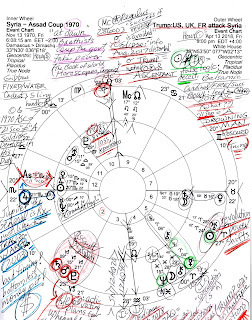 Also note the midpoint picture penned on the right : Sun-Neptune = Mercury (Rx--same old, same old lies) = false logic and deceit (Munkasey adds 'ritual ceremony' which I say is sacrifice in war). Some say the chemical attack in Syria allegedly committed by Assad was a 'false flag op' to bilk Americans and others in the West into supporting--and fighting--a war in Syria with Iran in their sights as well. What do you think? So! With Jupiter the General retrograde, war in Syria, along with the rest of the Middle East that America broke, continues to be a bottomless money pit just as it was when Dubya Bush, Cheney, and the Pentagon invaded Iraq in 2003 after Afghanistan in 2001. Flimsy pretexts are ginned up all around again! And of course, this is all part of a process, we know, for Syria is one of the 'dominoes' intended to fall--and religions are intended to fight each other to the death as planned by the zealots manipulating the world into catastrophic war. Fall, that is, if America doesn't fall first.